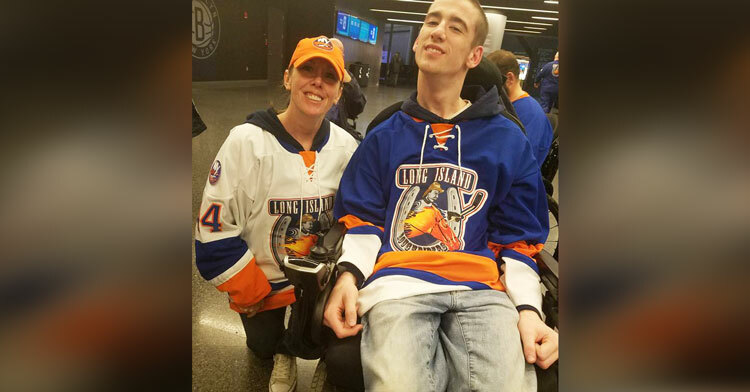 Navigating New York’s labyrinthine system of tunnels and stairways is challenging enough for the able-bodied, so imagine how much harder it is for Chris, who has cerebral palsy. 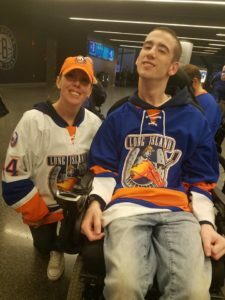 Chris and his mom, Monica Ward Scharrer, had to deal with that challenge when they went to catch a New York Rangers hockey game one day last fall. Getting to the stadium wasn’t a problem, and they thoroughly enjoyed the game. 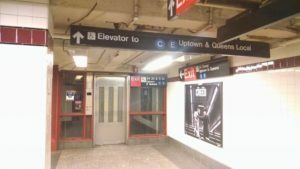 The problem was getting back, because it turned out the elevator that was supposed to take them from street level to Penn Station wasn’t working. Thankfully, she didn’t have to look far for a solution. 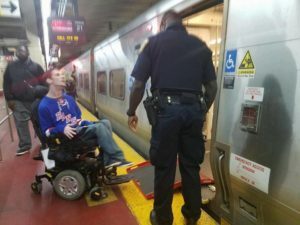 As she tried to figure out what to do, they “stumbled across” Officer Stephen Mears of the Metropolitan Transportation Authority Police Department. 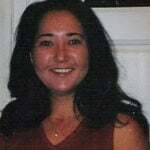 Officer Mears was an angel for the stressed-out duo. It turns out, before becoming a police officer, he spent six years working with disabled people. He was just the man they needed! Officer Mears not only helped them locate the closest working elevator, which happened to be in a nearby shopping center, but took the extra step of escorting them to catch their train and personally set up the ramp so Chris could cruise on in! 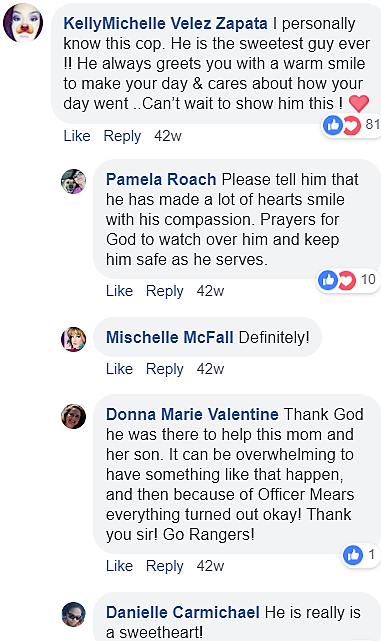 I can’t say enough about how wonderful this officer was to my son and I. He essentially moved a mountain for us! I love this man and what he represents of humanity. News of this kind deed started to spread, and it eventually reached a reader who says she knows Officer Mears and that he “always greets you with a warm smile to make your day & cares about how your day went.” So this wasn’t a random act of kindness, just one of many kind-hearted gestures this wonderful man makes every day to make commuters’ lives just a little bit easier. These two hockey fans probably would’ve missed their train if it hadn’t been for this officer. Share to thank him for going the extra mile!